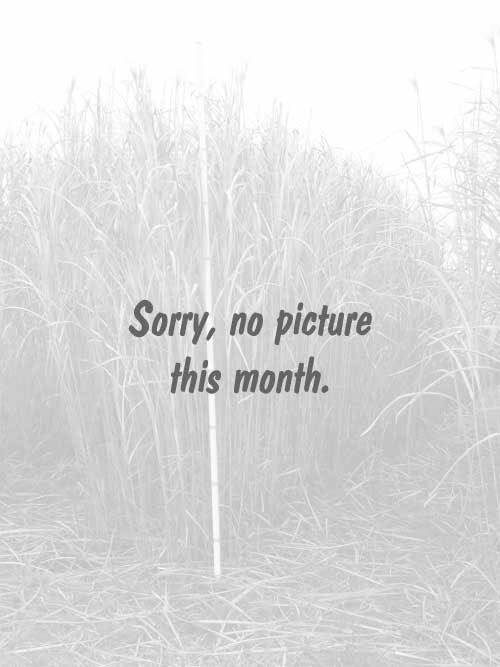 Here we present photos of typical growing seasons. 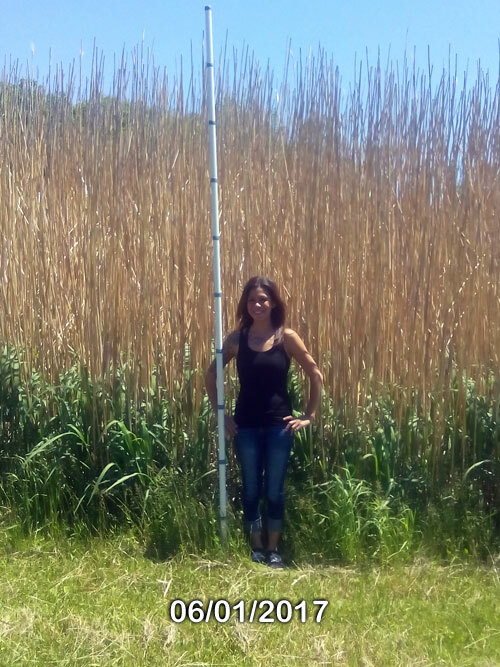 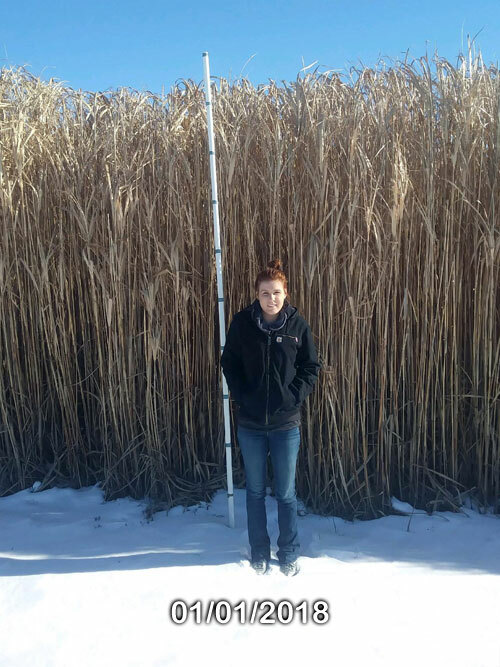 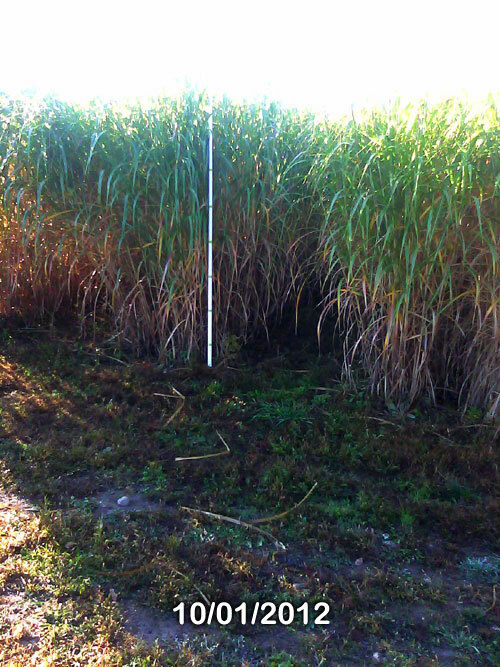 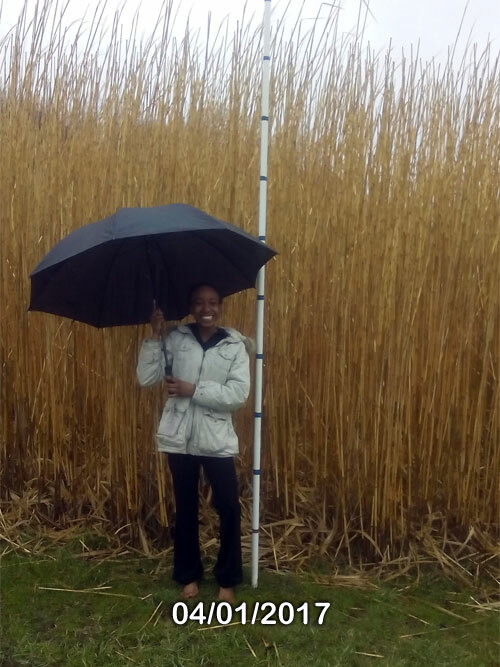 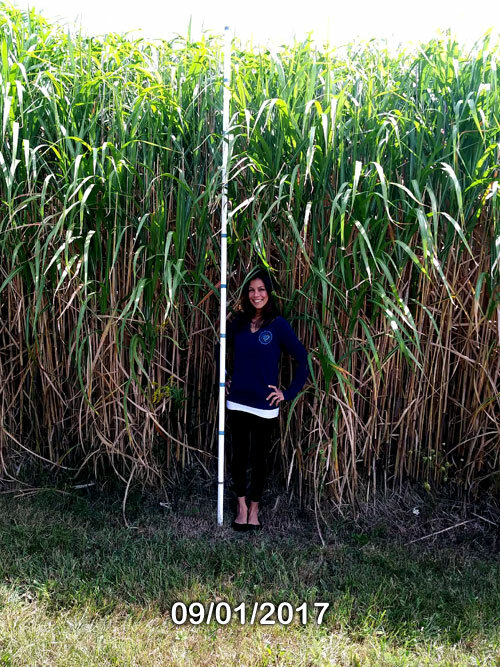 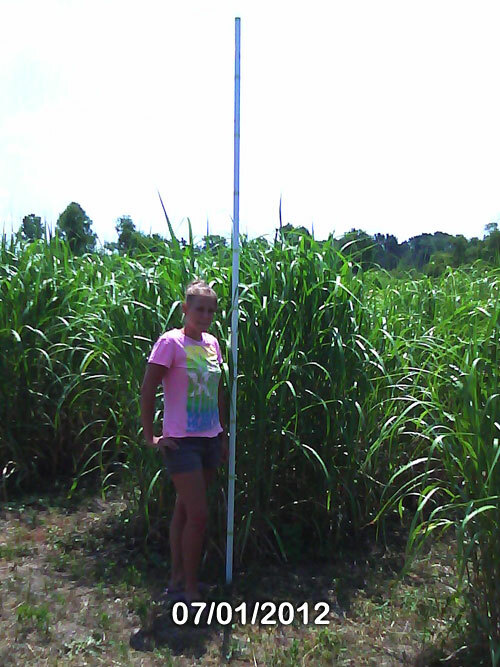 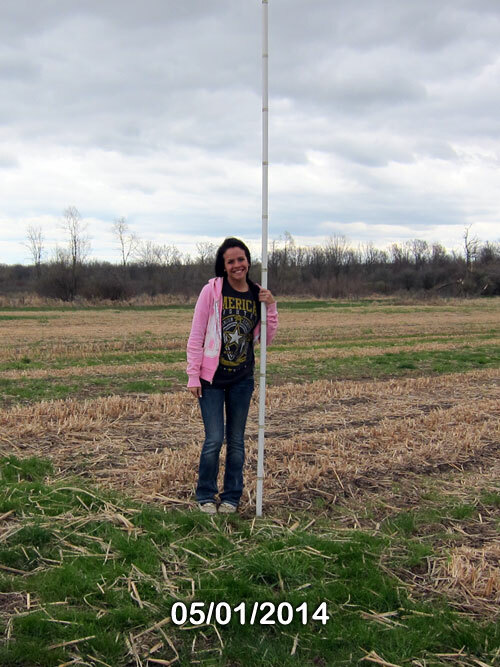 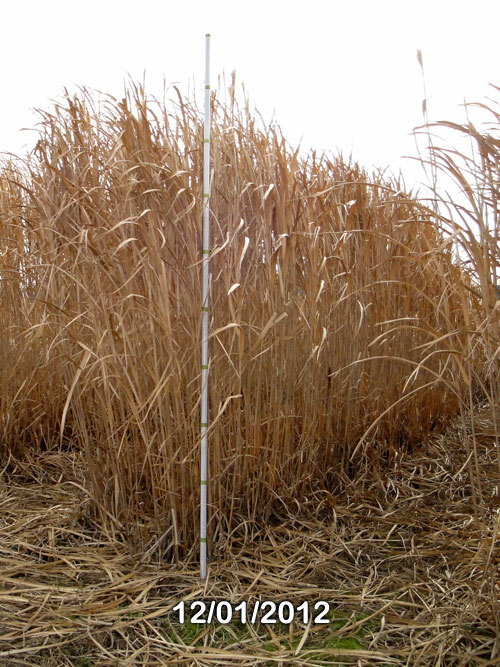 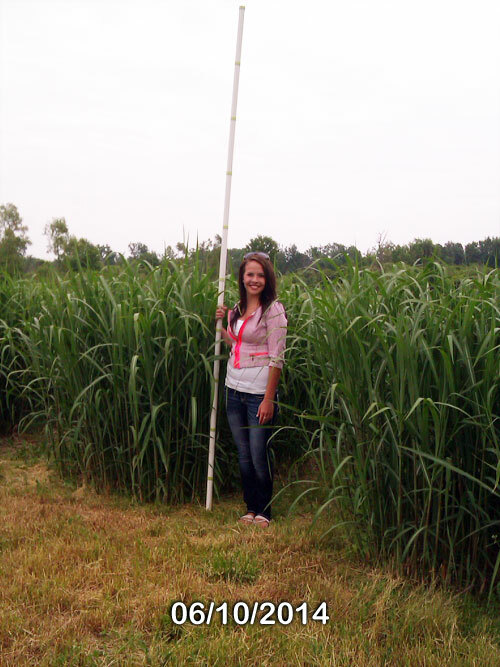 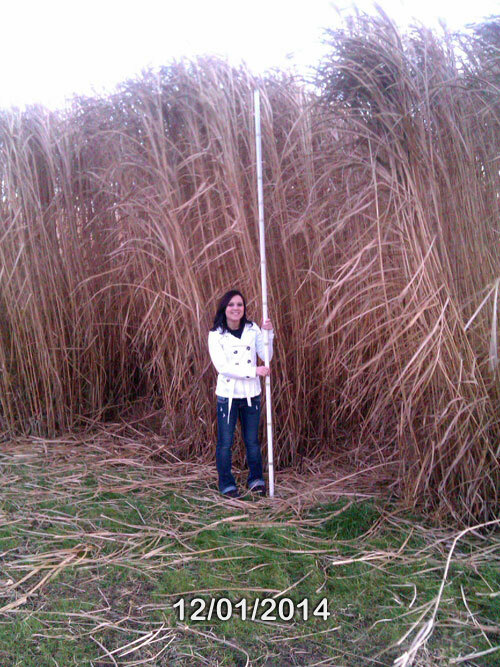 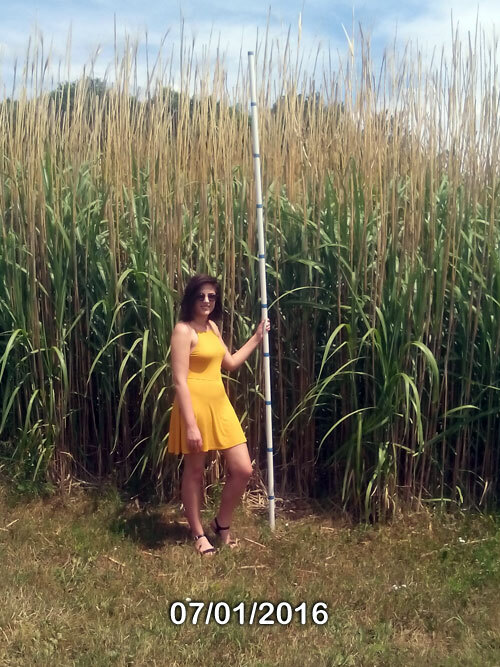 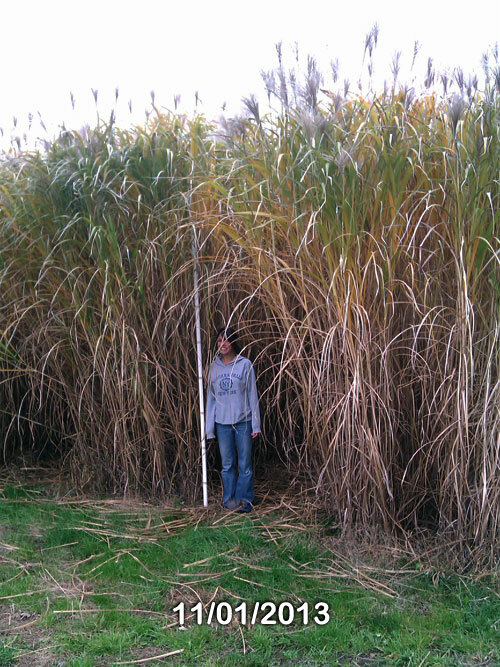 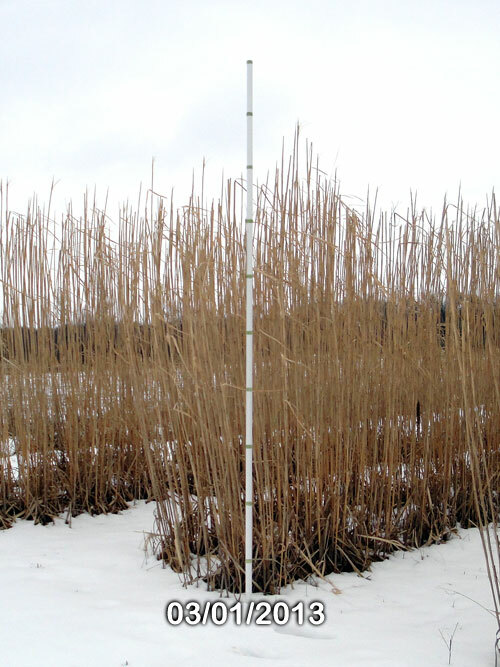 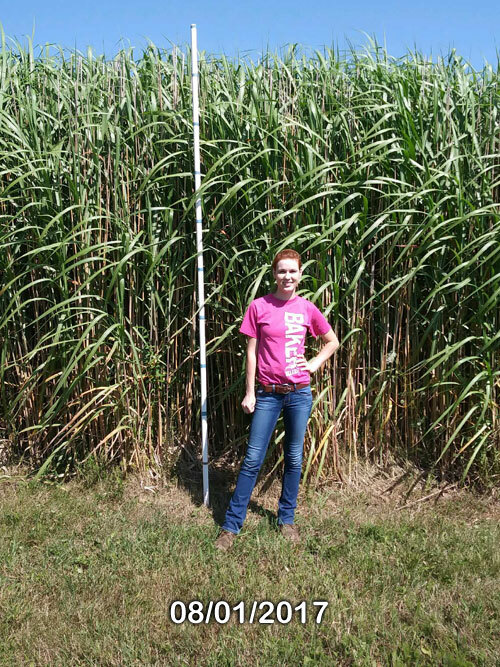 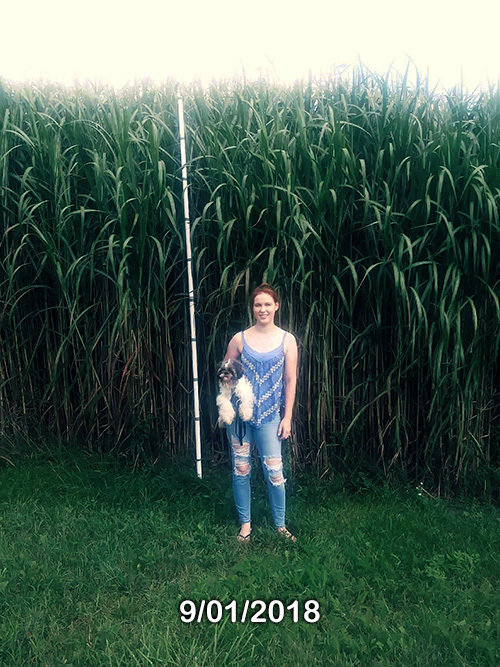 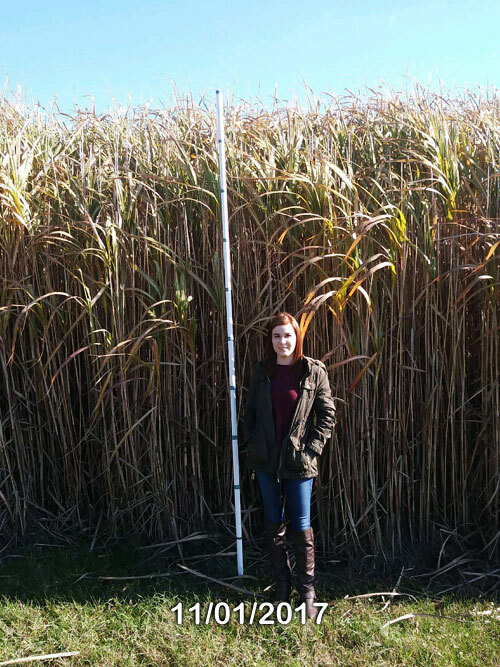 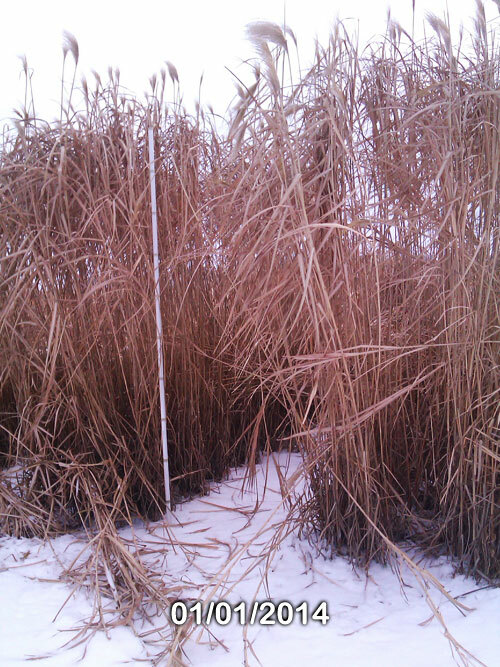 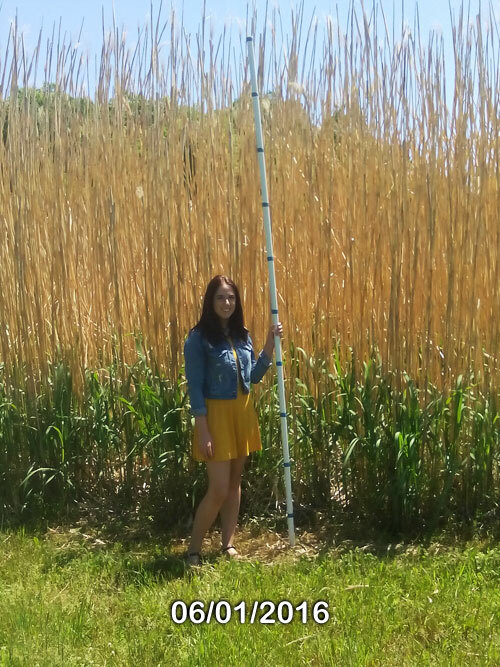 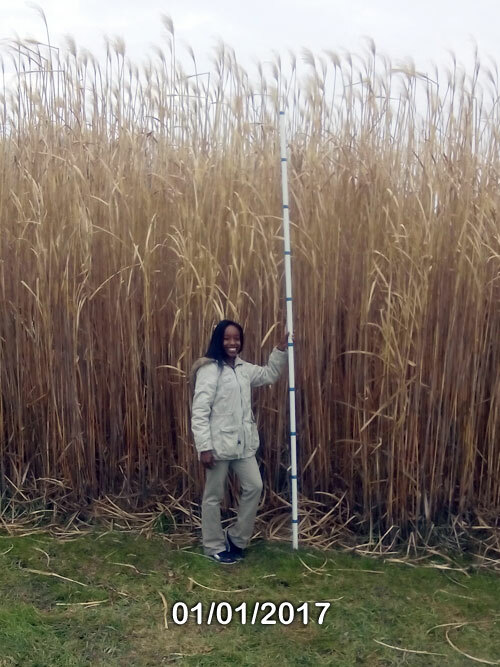 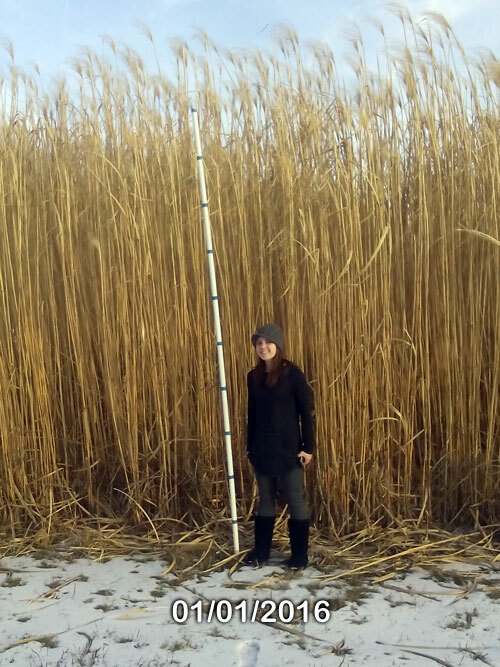 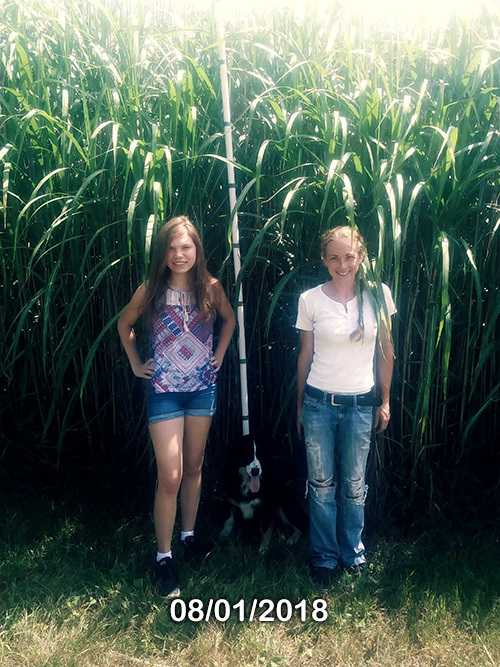 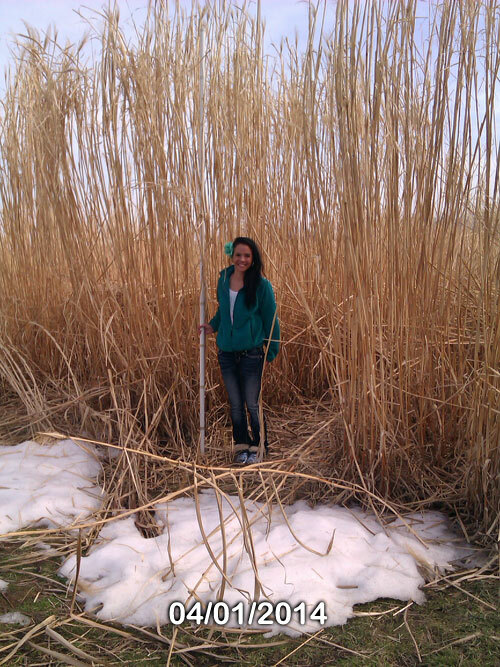 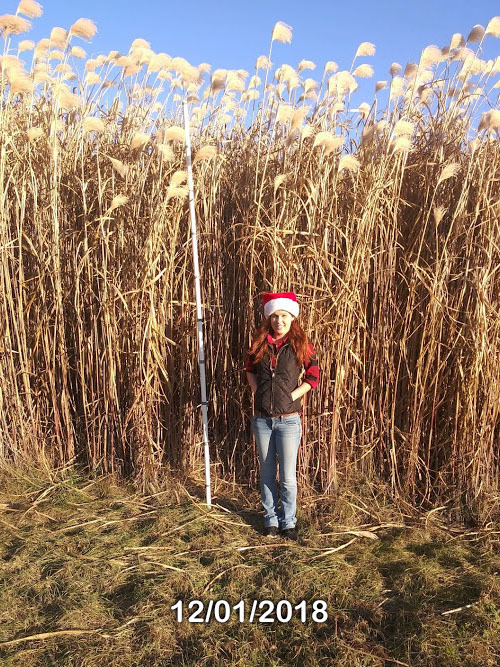 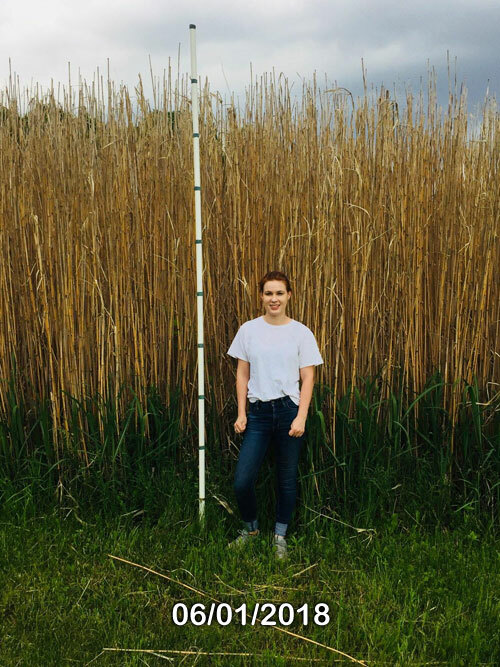 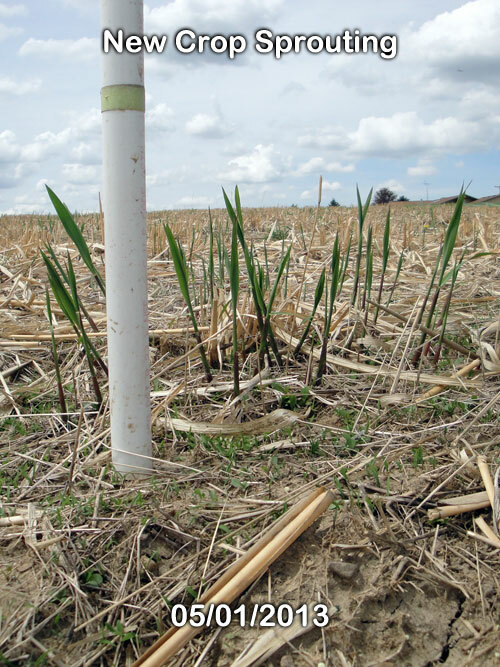 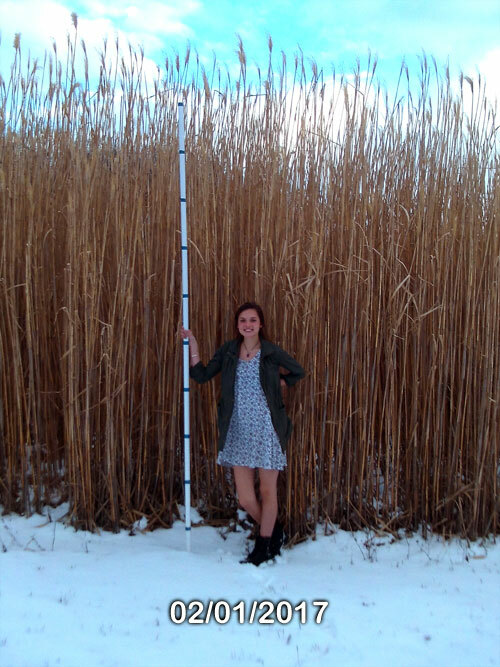 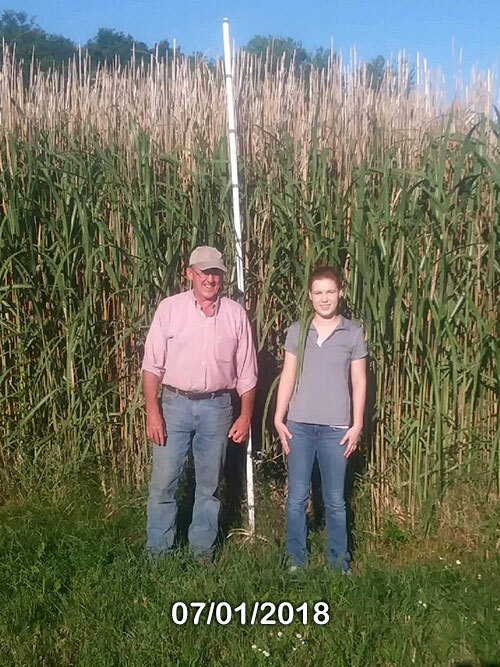 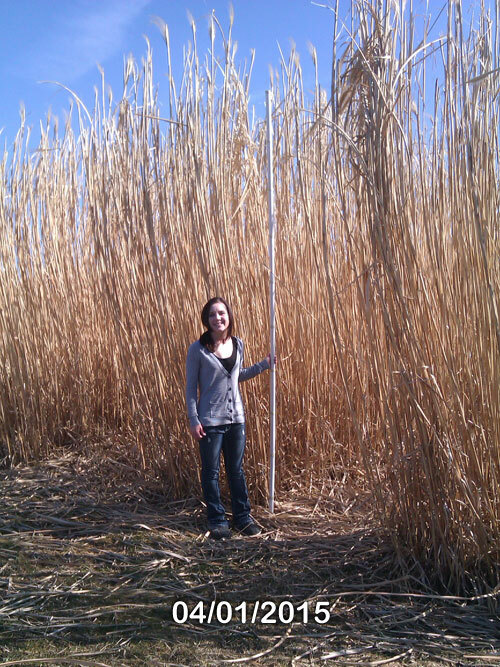 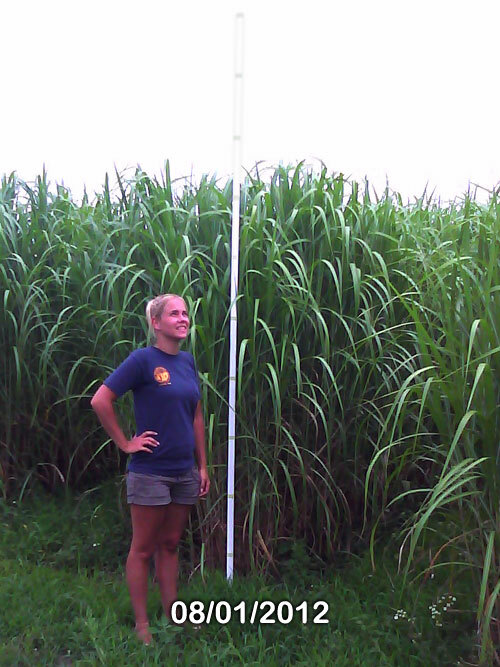 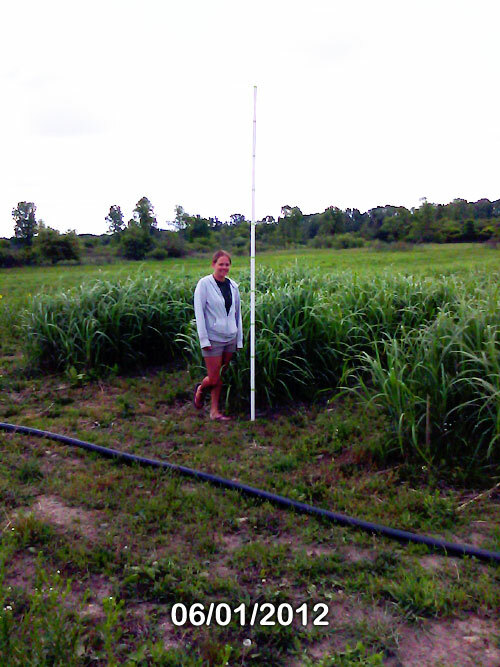 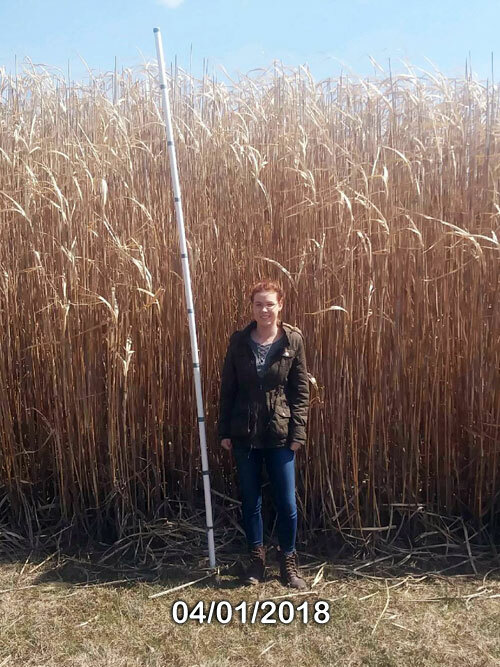 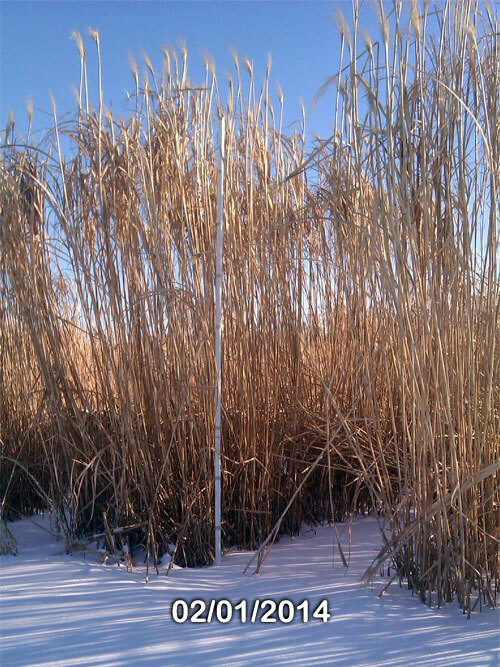 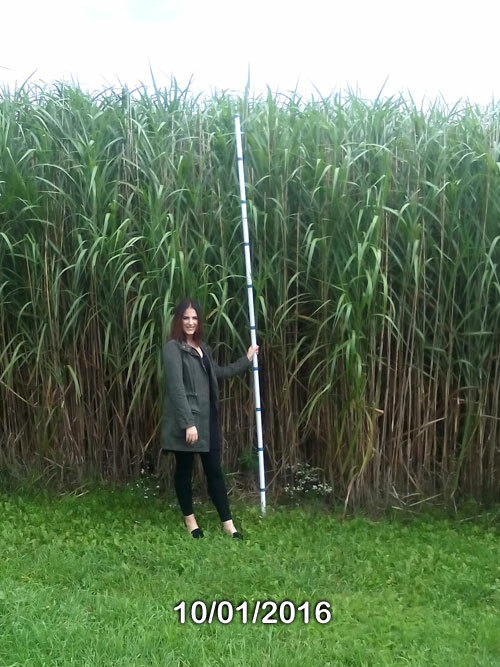 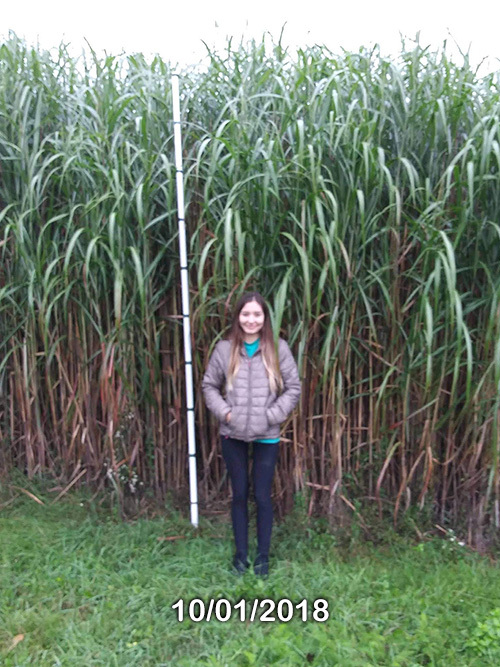 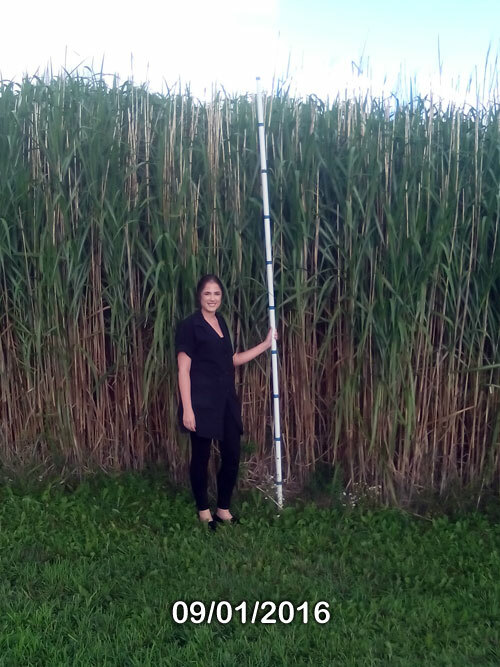 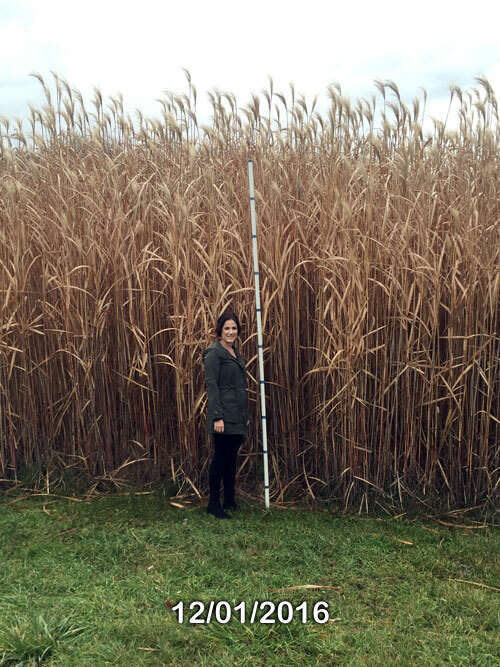 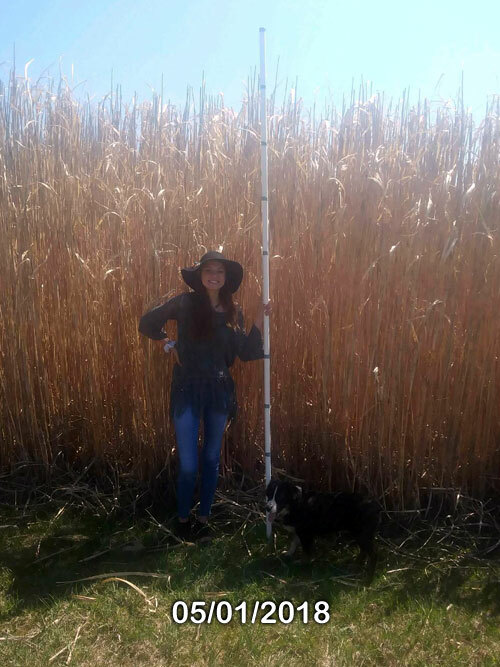 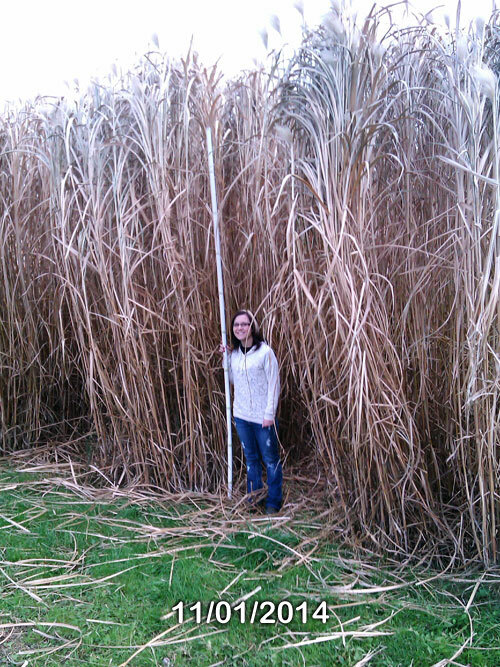 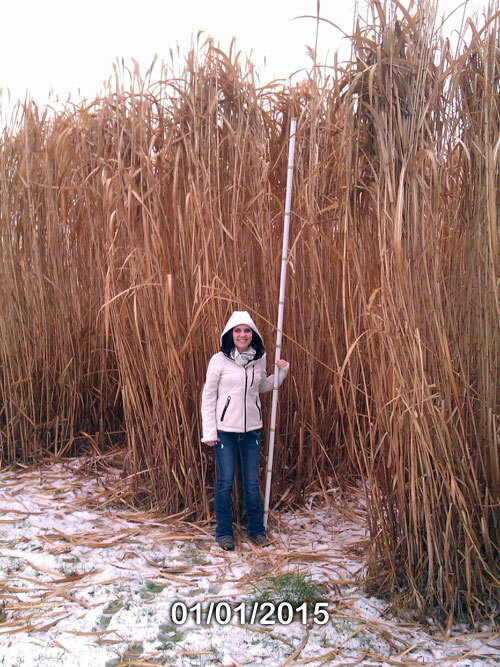 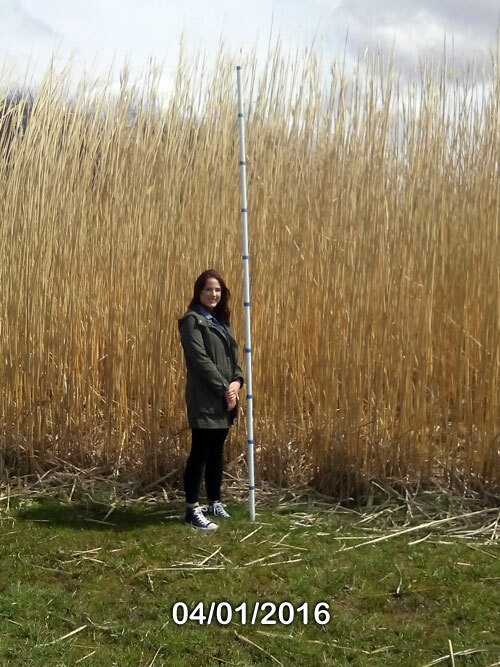 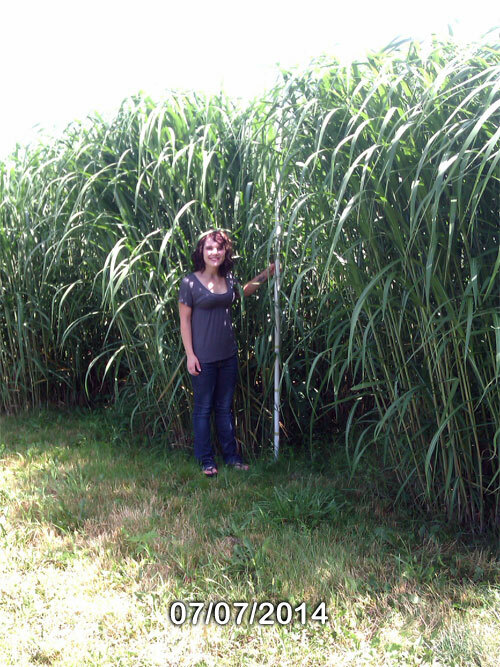 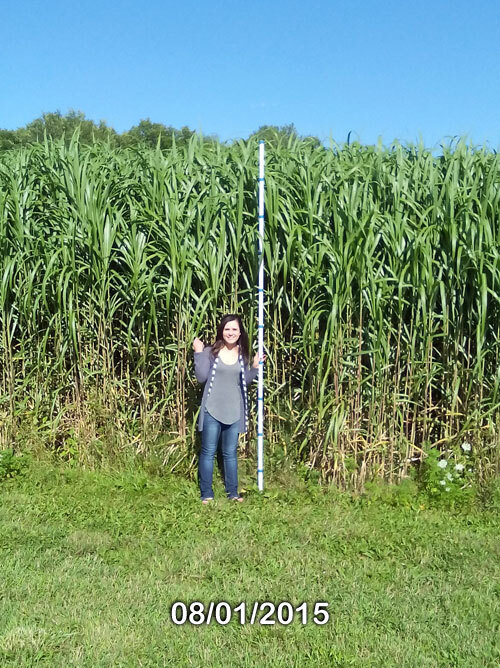 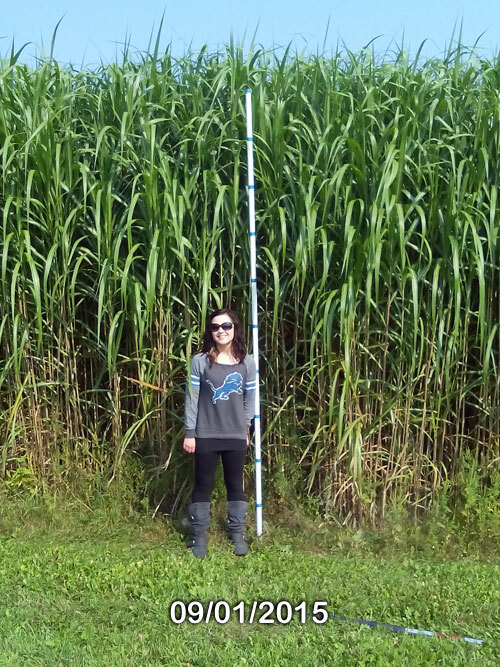 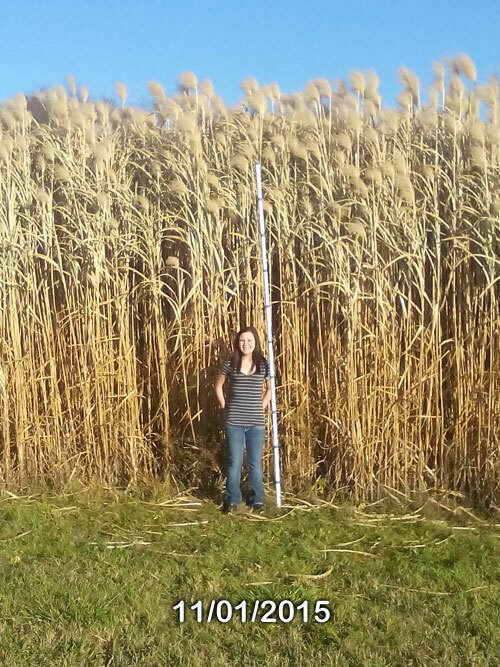 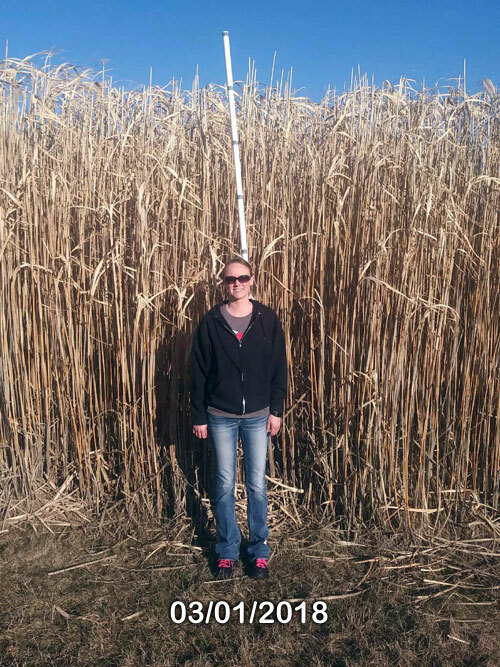 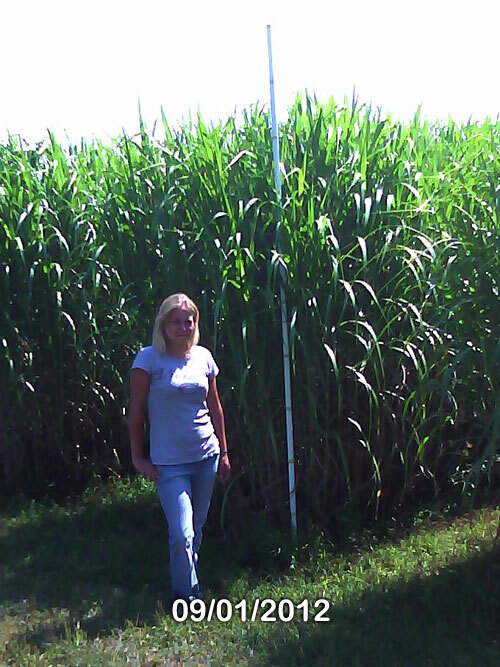 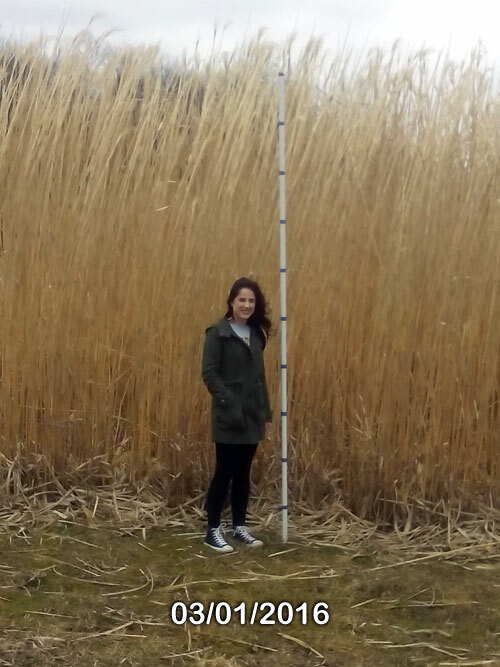 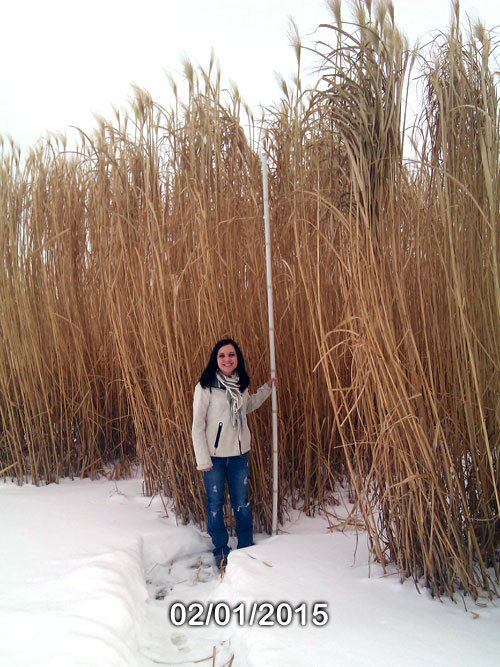 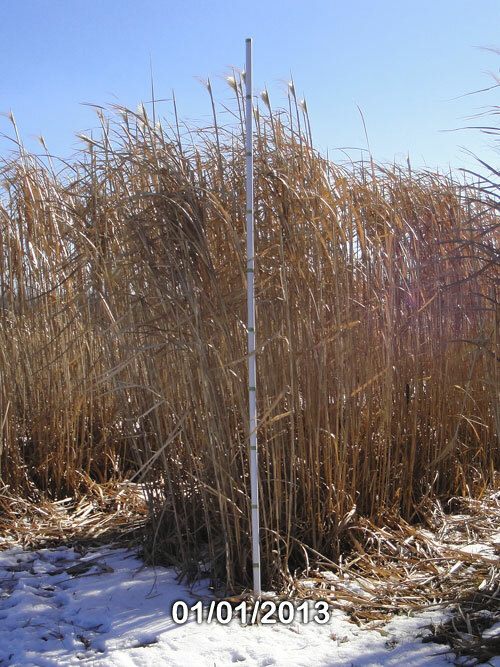 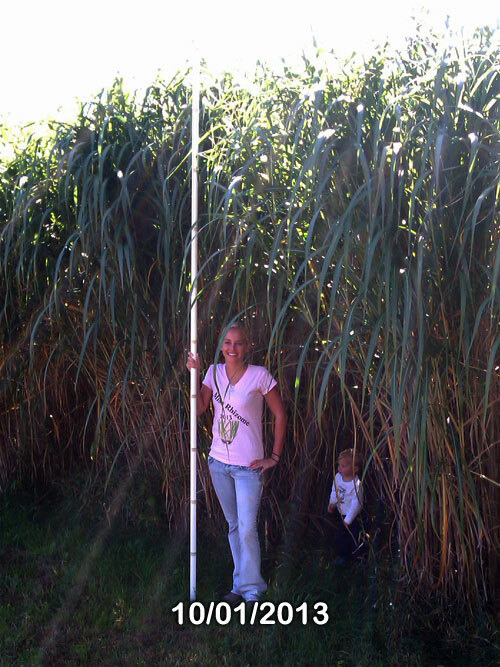 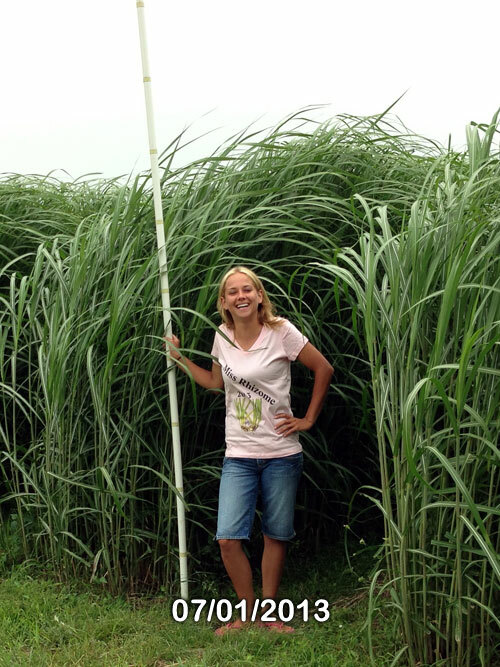 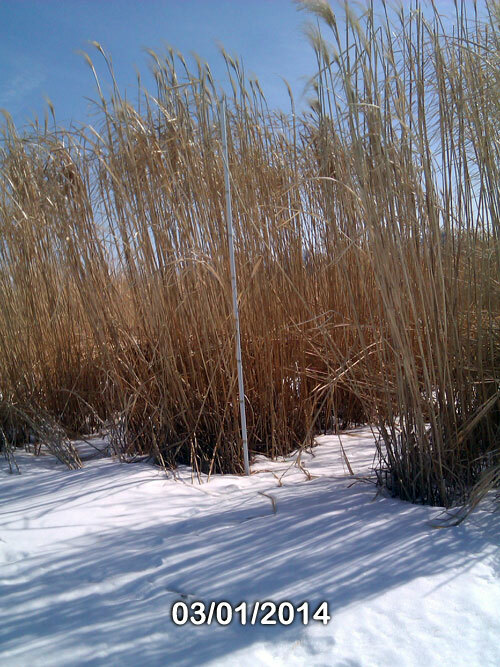 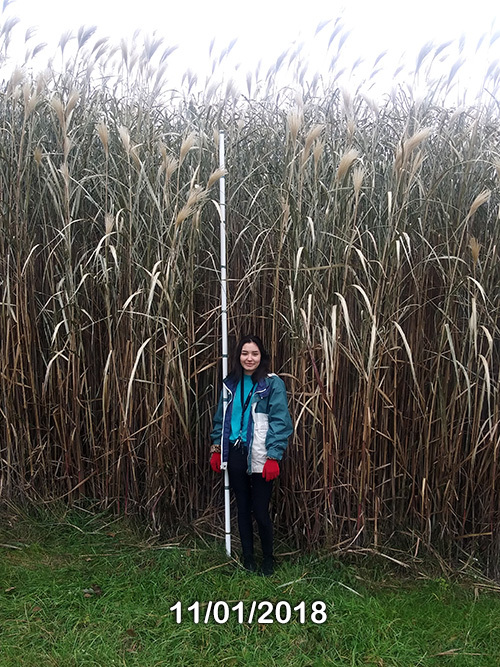 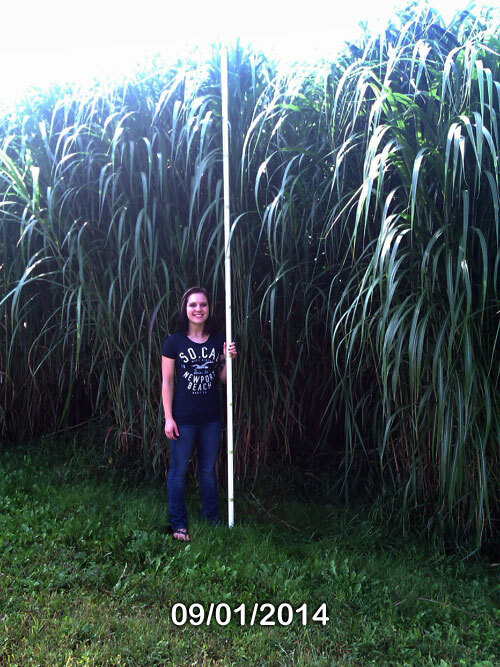 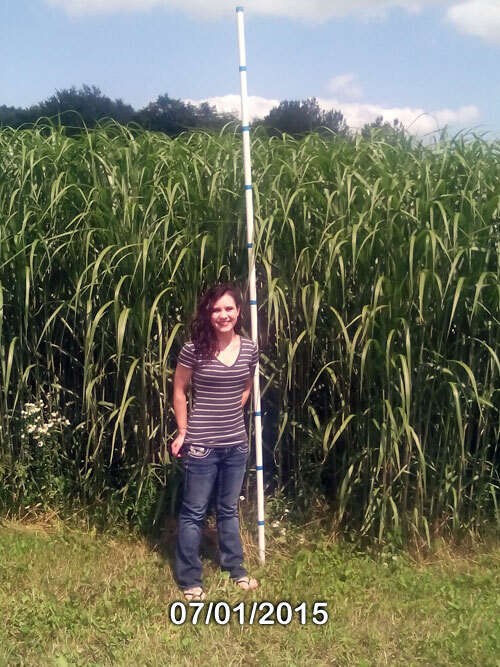 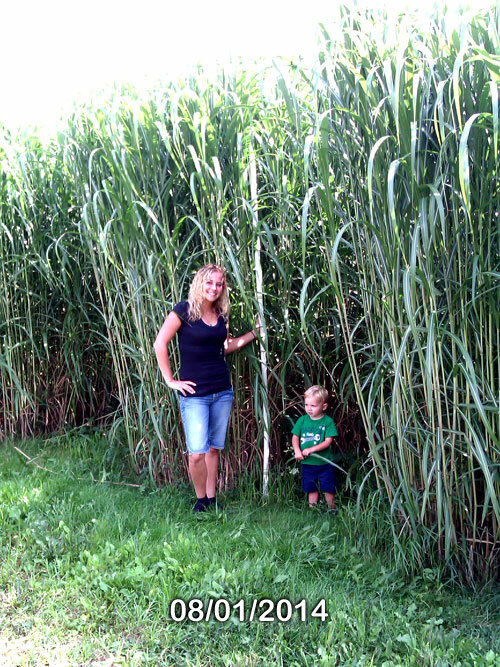 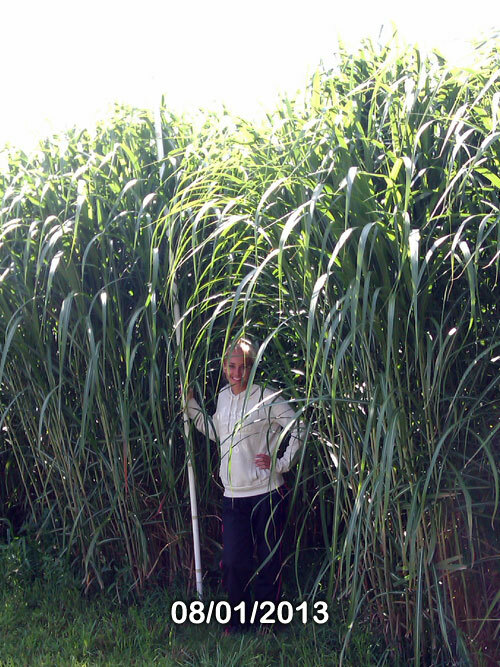 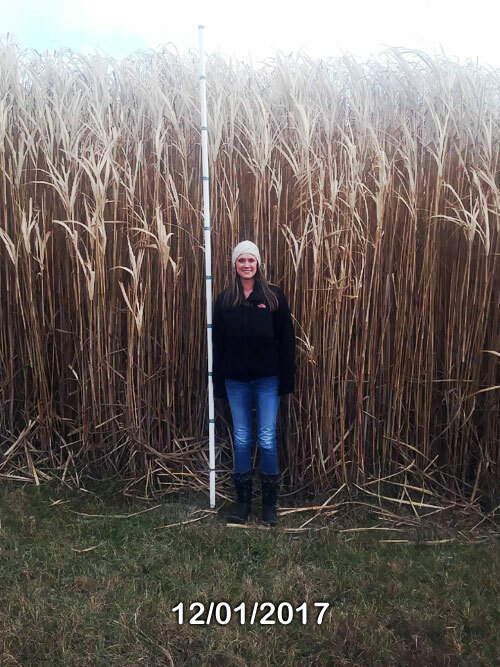 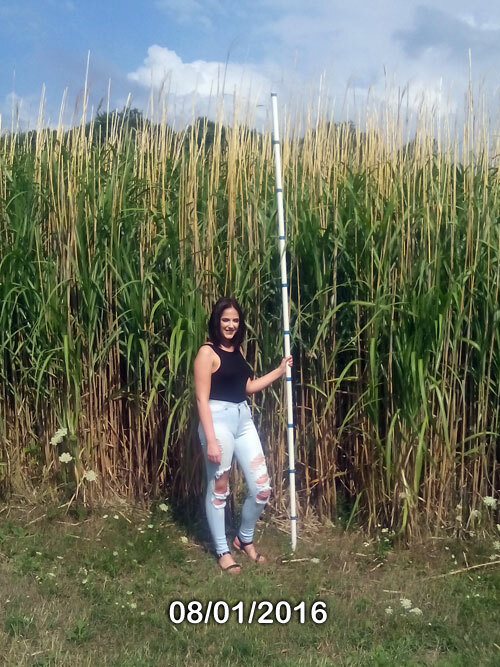 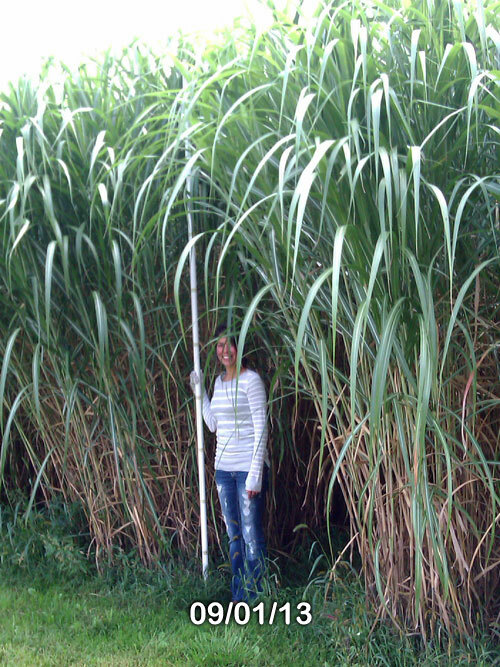 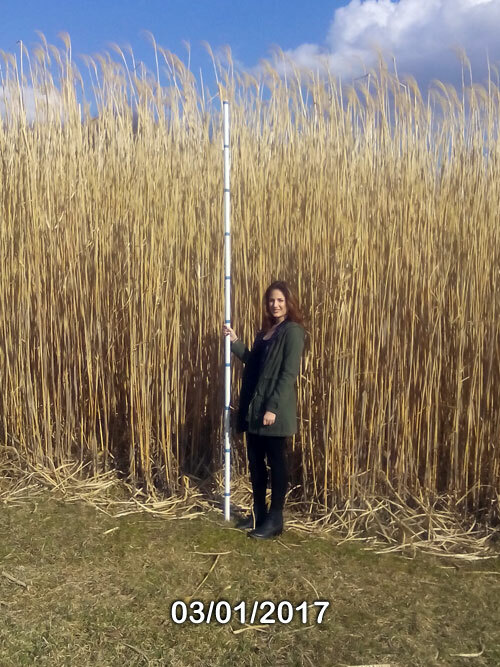 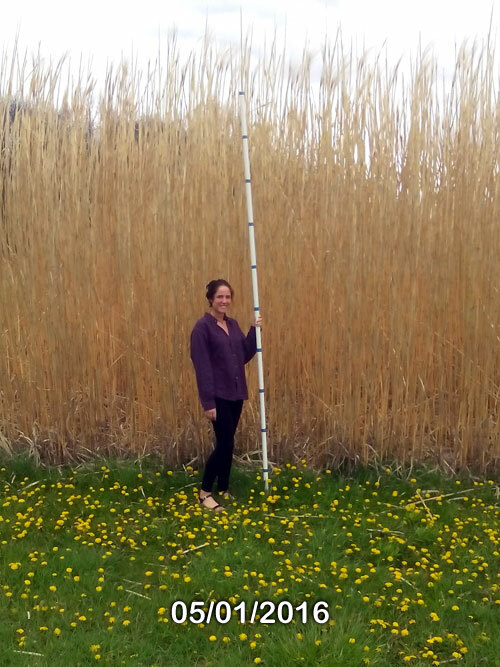 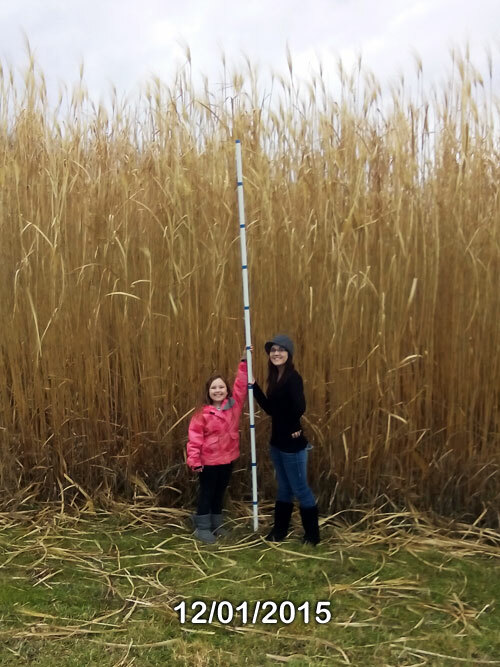 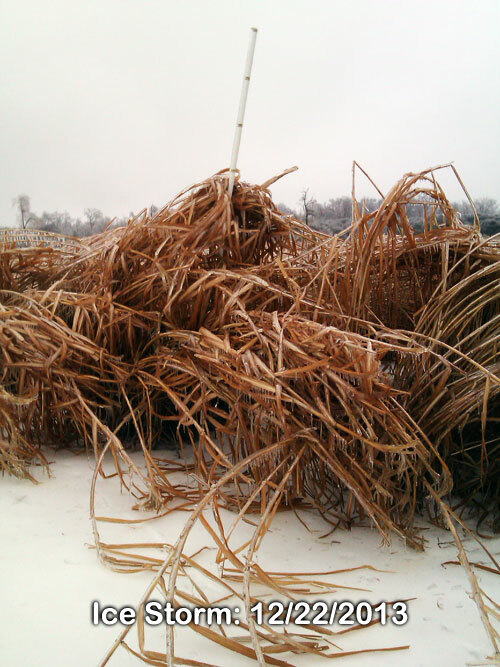 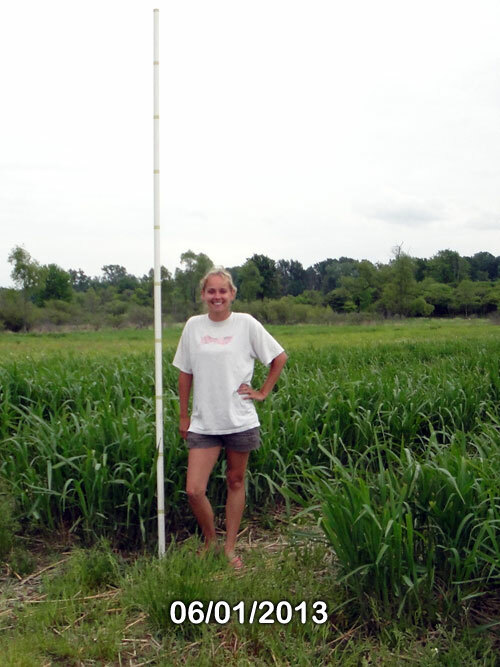 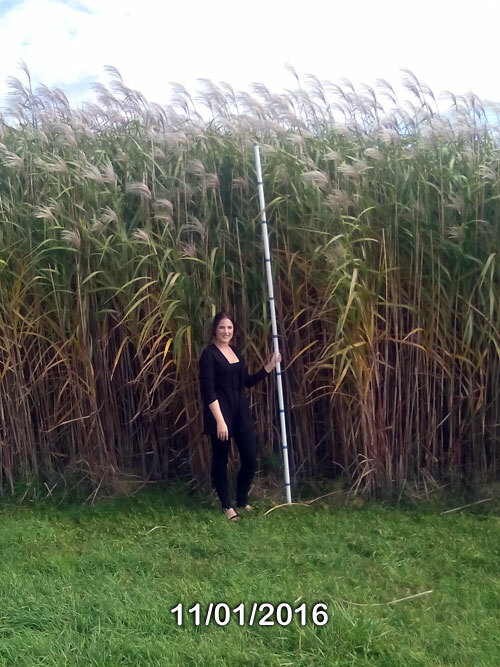 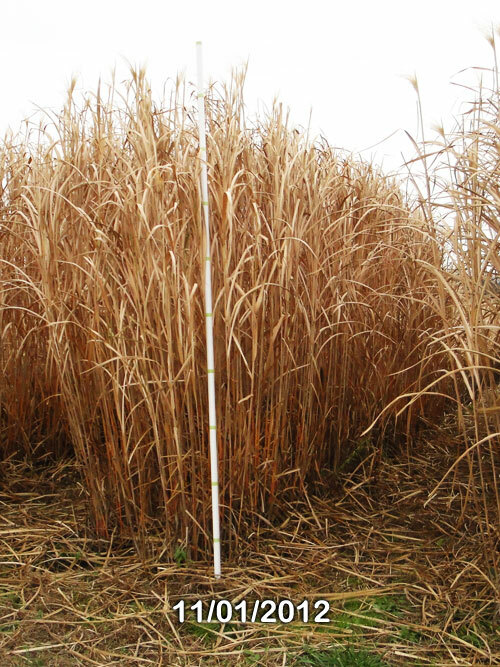 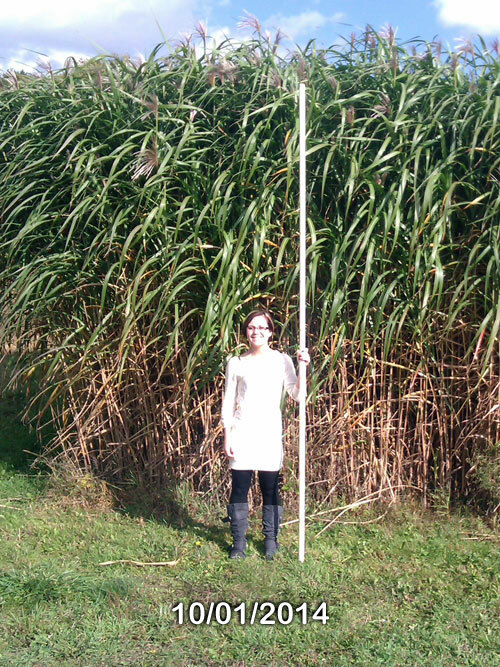 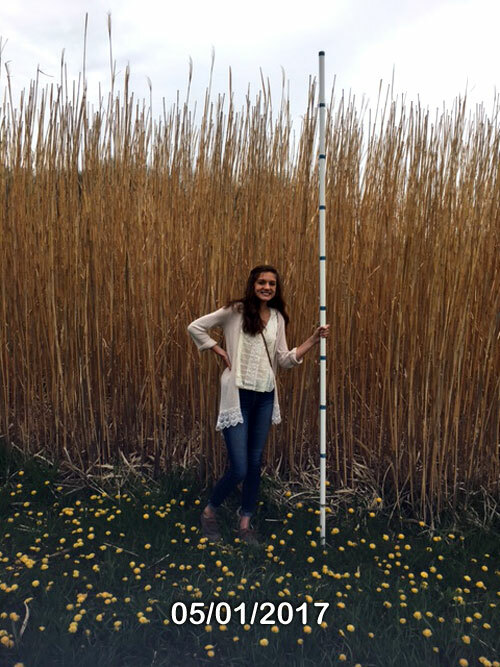 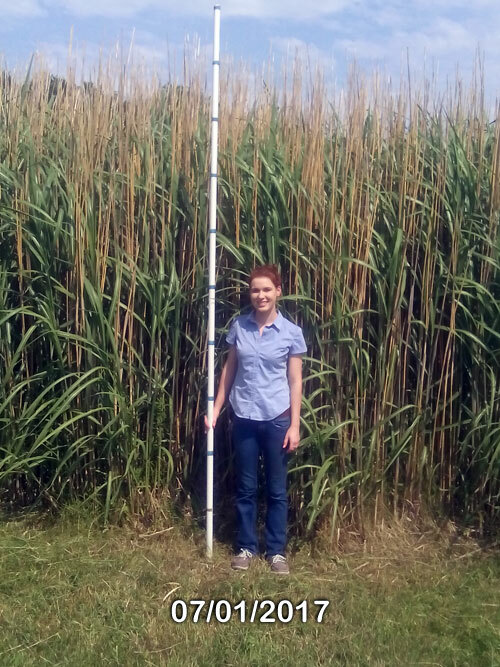 Please note: 2016 is the first year we chose not to cut the standing cane in the spring. 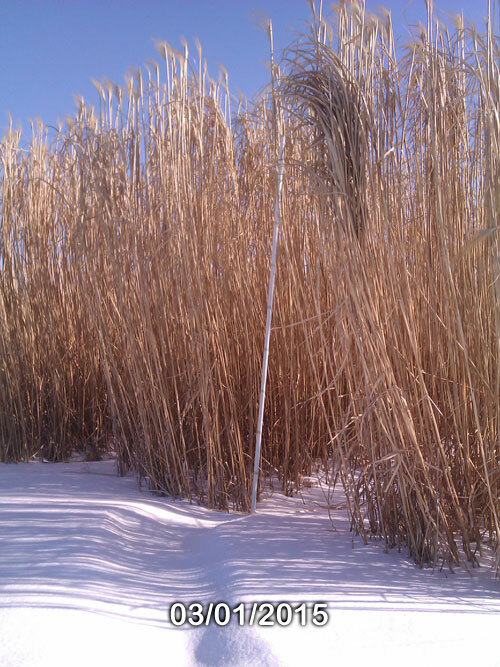 Old (uncut) growth will stand for a couple of years before rotting off at ground level. 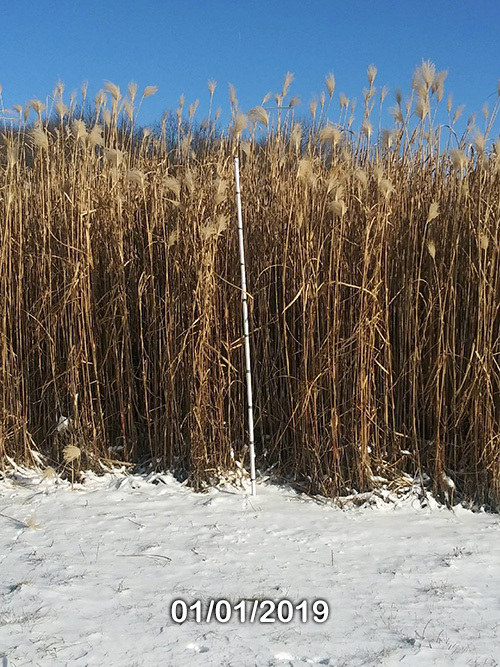 Leaving the old growth makes the hedge appear thicker. 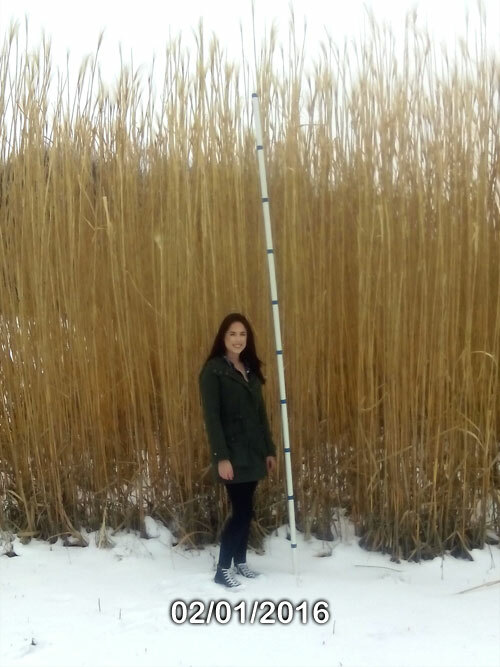 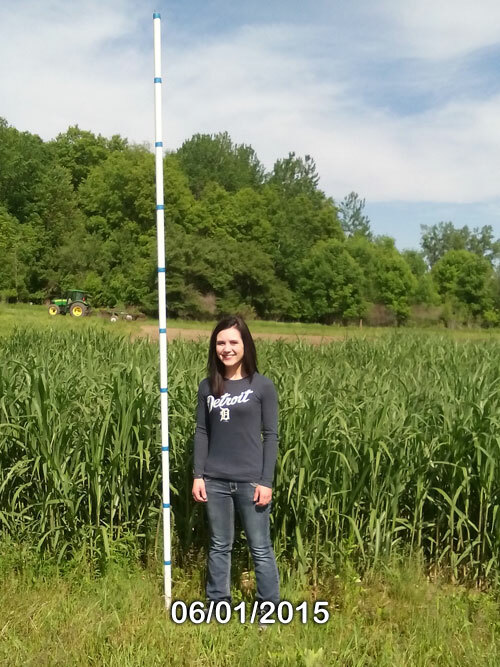 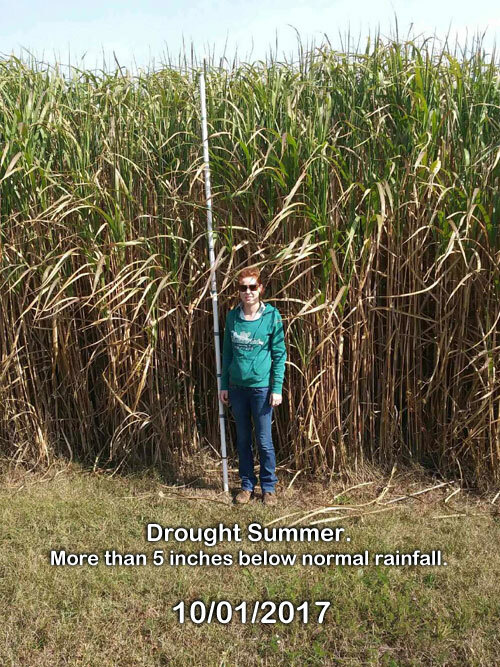 These photos were taken from roughly the same place each month with a ten-foot measure pole placed in the same spot each time. 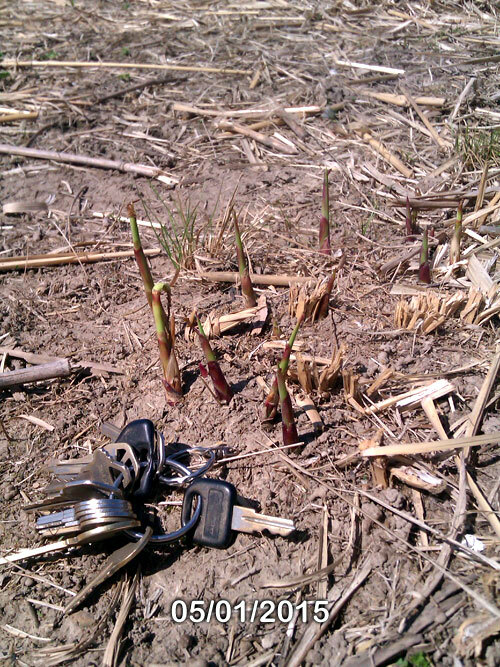 You can see the great progression of growth here in the central Michigan climate.